The feds say the product may have been kosher, but the operation was not. 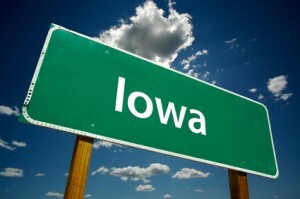 The case involving this kosher meat plant and the use of illegal immigrants has gotten so much publicity that the trial has been moved from Iowa to South Dakota. DES MOINES – The man who managed a once-dominant kosher meat empire heads to trial Tuesday to face allegations involving what U.S. Attorney Matt Dummermuth describes as the largest single-site immigration raid in United States history. The trial, in which Sholom Rubashkin will challenge 91 fraud-related charges, marks the latest turn in a case that dealt a blow to the northeastern Iowa town of Postville and stoked the national debate over immigration. Posted: 10/12/09 at 8:37 AM under News Story.